Excellent David. This project is really shaping up nicely! I wish I could find time to get out to the garage and continue on with my Amazon, this definitely is motivation! I'm a fabricator, too! I used to build bike frames and mitered on a mill with hole saws, but those tubes are much thinner and lighter than roll cage tubing. I'm gathering material to build a tube frame RWD mid engine Karmann Ghia so I'm moving up on tubing specs. I have a Bridgeport and I'm shopping for a lathe. I think mitering on a lathe might be the way to go, lots of U tube on that, but would like to see some pics of your mill set up, if you have the time. Keep up the good work! Last edited by vintagewrench; 11-19-2018 at 05:08 PM.. The OD needs a rebuild this winter and an old, but unused IPD upgrade kit for the D-type was obtained from NorthNH. 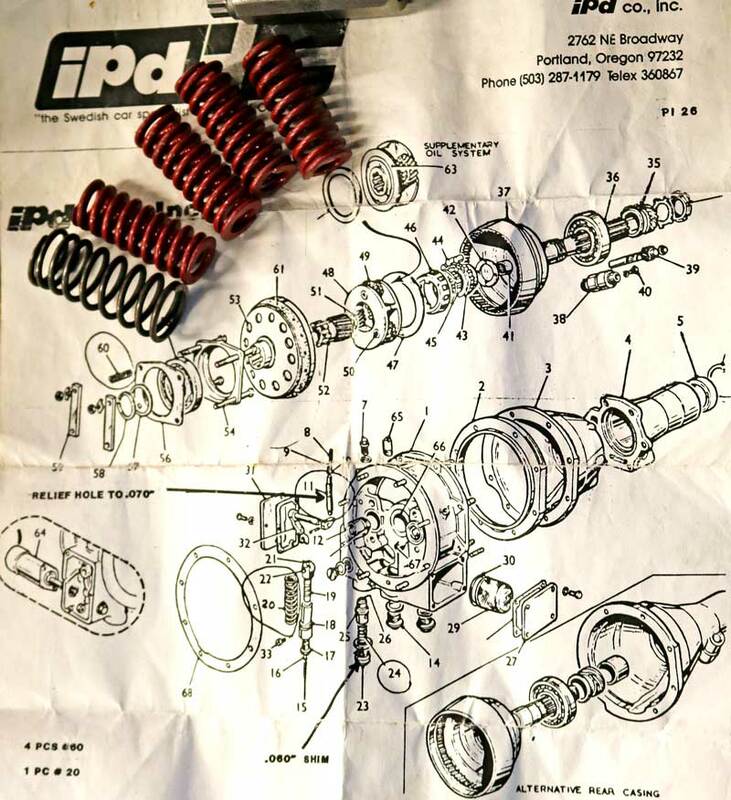 It consists of heavier clutch springs, a new oil pump relief spring that needs to be shimmed by .060" and instructions to drill out the "operating oil relief valve hole" to .070 and use 80 weight oil. 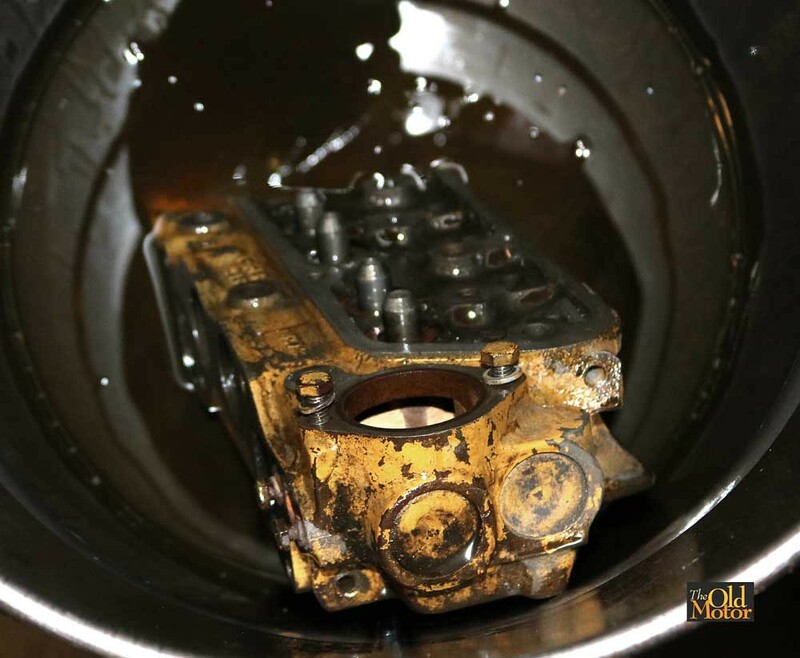 Although using the thick oil and producing a higher oil pressure with the pump will drain more power when the OD is engaged. The engine is a 115 hp B18B, and the VSCCA rules prohibit using a B20 or boring or stroking it. When it is modified it is unlikely it will produce any more than the 150 hp which is the maximum limit reported that an M40 transmission can handle. Would like to hear from anyone that has used this combination in hard use about how well it held up for them or any other recommendations that will help it to survive. Also looking for a source for higher friction competition OD clutch linings. Any help would be appreciated. Last edited by vintagewrench; 11-19-2018 at 05:10 PM..
Nice setup, nice vise, those Wiltons must be made out of gold!! Just about finished with constructing the roll bar for the 1800s. It is built to SCCA rules with the rear set of diagonal bars lowered a bit for better side impact protection. It is made up of 1 3/4" dia. .092 wall thickness drawn over mandrel seamless tubing. 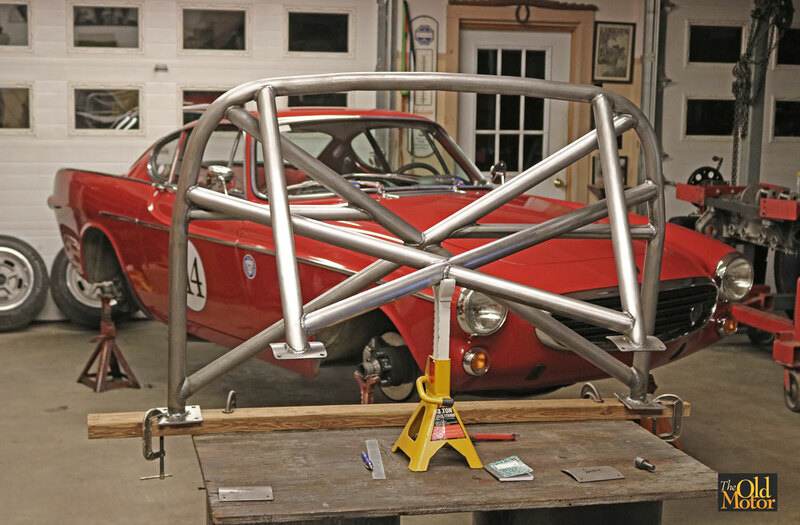 It is bolted in with backup plates to structural areas of the chassis, yet can be removed in 15 minutes and the rear upholstery reinstalled quickly for non-racing use. Wow that's crazy! I love the sticker on the back window BTW, that was even true for my P2R. No one ever suspects the Volvo. Glad to hear you enjoy it, a lot of people like it and in the pits at VSCCA races 100s take photos of it! Its a sticker that Dave Barton made up and used to sell. The bar looks good! Bonus on making it to where you can get it out of the car. Helps with paint and finish welding if nothing else. Thanks, Yes it worked out well. Fairly road salt free winter up here in New England until now. Just took the car off the road for the winter and this photo was taken last week after jacking it up and pressure washing the bottom of it before it came into the shop last week. Need to make more changes for the racing season that starts again at the beginning of May. How has your 220 been working out recently? Need to get back to working on the '69 220 soon because I would like to go all vintage and try flat towing it with the wagon to the track. Sometimes you get lucky, period Volvo racing head soaking here in the shop cold tank. That was my face too. Here is a photo of one of the combustion chambers of the B18 racing head after a quick clean up. 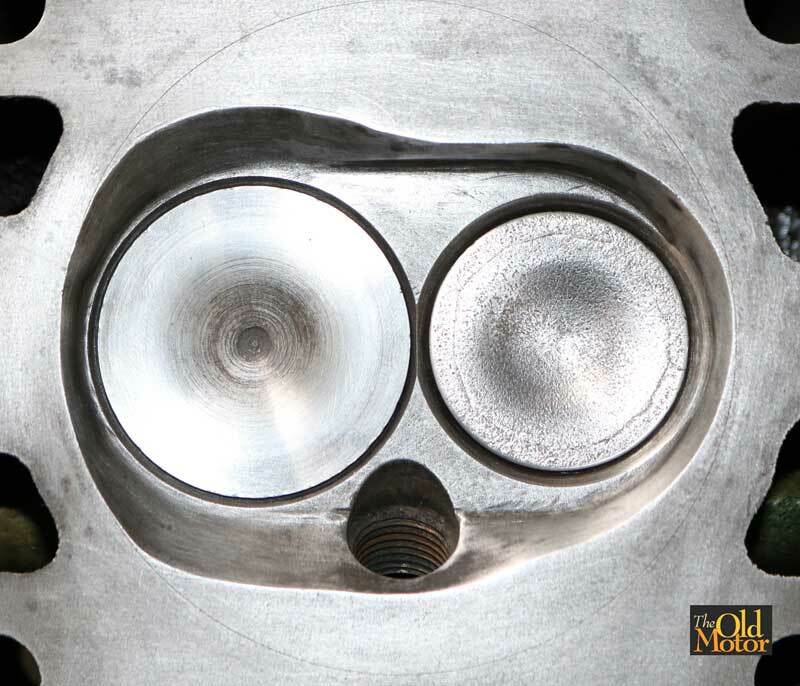 It was done by a pro in the 1960s and the original round scribe mark can be seen around the combustion chamber. It perfect for what is needed as 1800cc is the limit of the engine size to run in vintage racing with the VSCCA. 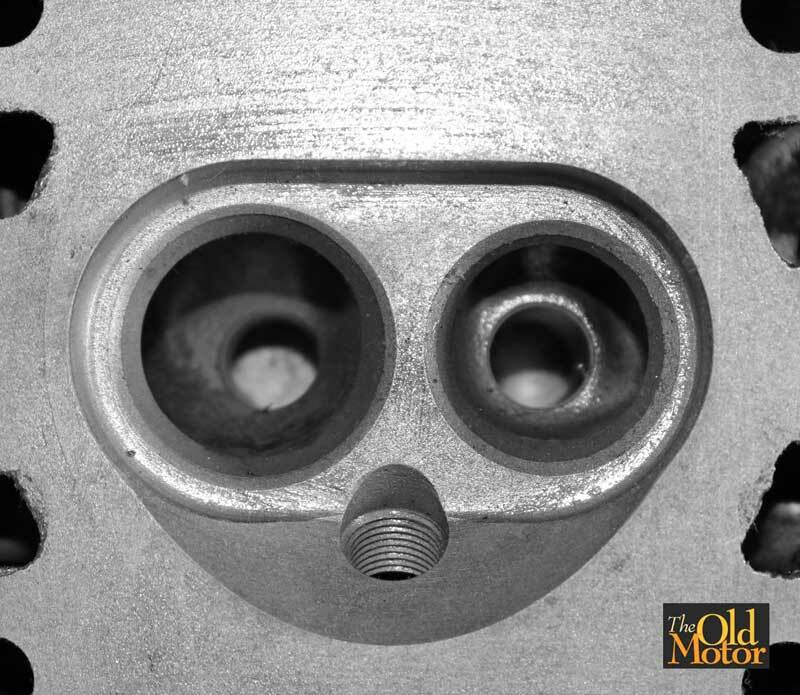 The intake valves are 46mm, larger than the standard 40mm, and a standard 35 mm exhaust valve serves as a place holder for a 37mm exhaust valve. The head has been relieved around the intake and to a lessor extent the exhaust. The height of the head is 82.5mm and it has been milled down about 3.7mm or .140" from the standard B18B height. The compression ratio is some where around 11.5:1 (its will be measured soon). Its strictly a racing head and will probably reguire 100 octane racing gas. 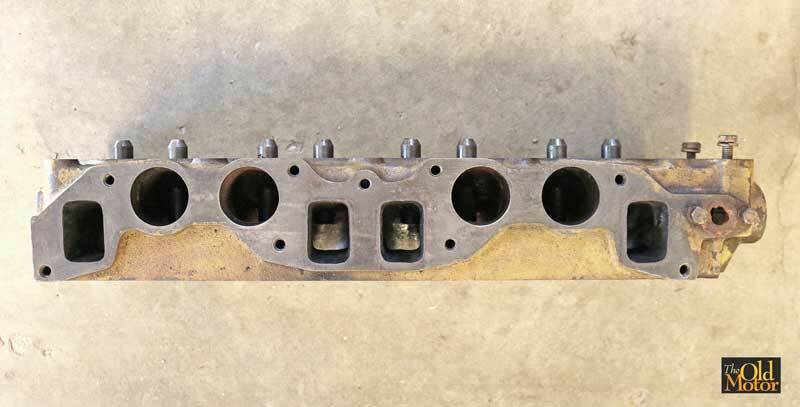 The second photo shows the untouched 8.75 to 1 combustion chamber and valve seats in a head that is going to be used on another engine fitted with a Judson supercharger for comparison. 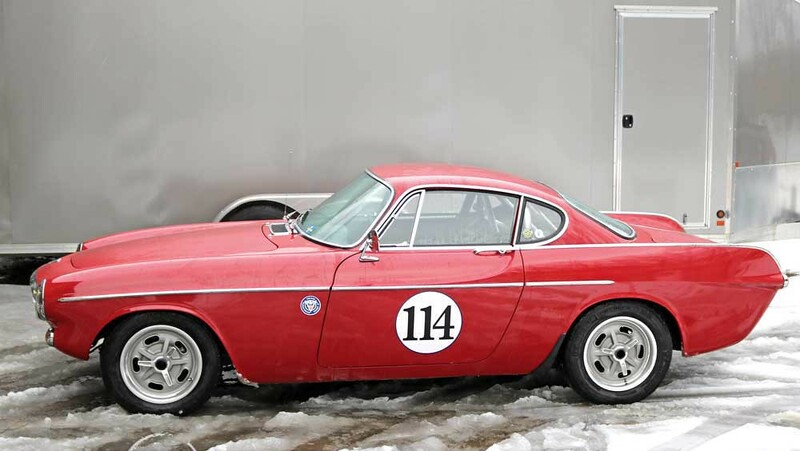 The race head originates to a 1967 1800s that was converted into a SCCA racing car when brand new, and it went on to become a multiple New England SCCA Championship F-Production winner. It has survived and has since been restored for road use. The intake ports have been enlarged .100" or about 2.5mm to 1.500", and the exhaust ports are just cleaned up a bit. Still more cleaning to do before checking all the changes to the ports. 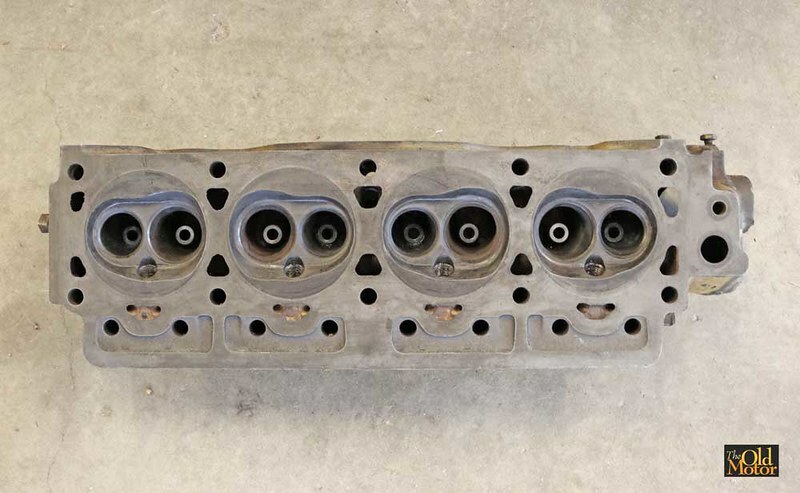 The bottom photos shows a 1960s Pontiac V-8 head that is very similar to the B18 & B20 heads of the day. Both respond well to the same changes. Last edited by vintagewrench; 02-23-2019 at 02:43 PM..
Only three of many things I've been working on for this upcoming season. 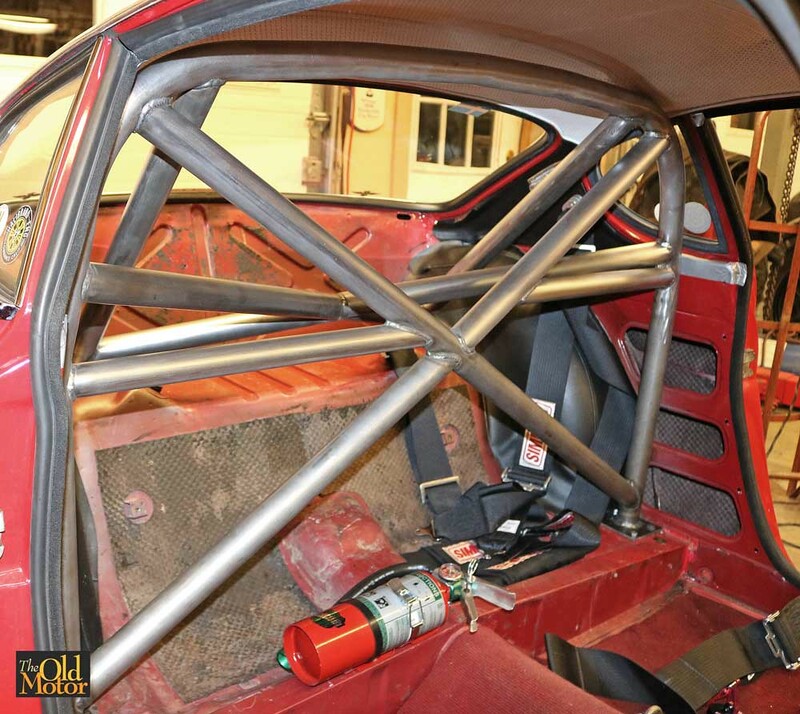 The roll bar is all finished and needs to be installed. 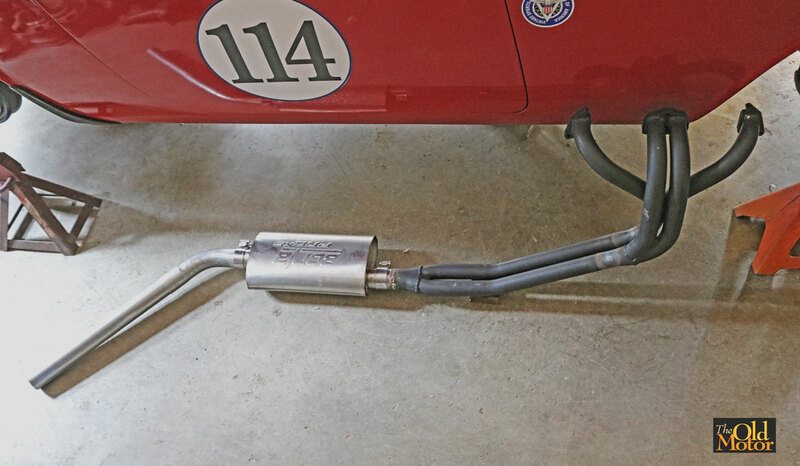 This exhaust is for tracks that require mufflers and road use. 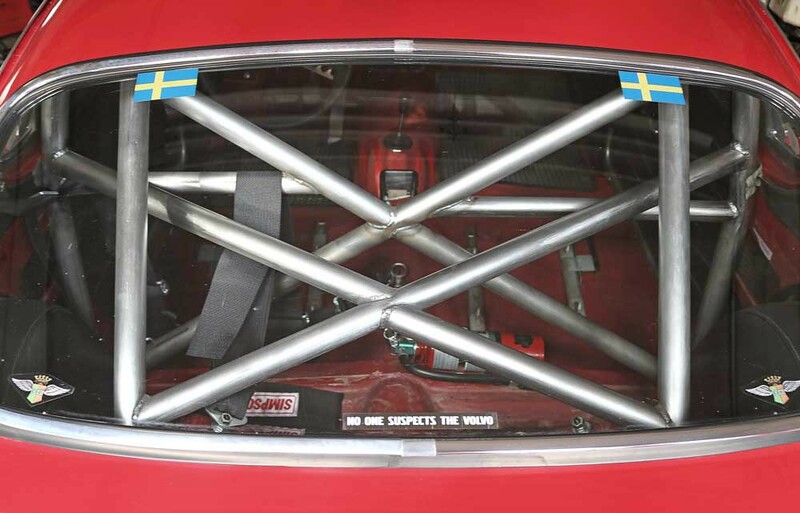 The 4-2-1 headers are made by KG Trimming in Sweden and the straight thru 2.25" Borla muffler is for race tracks that require mufflers and road use. The other 2.25" race exhaust pipe w/out a muffler may only have a 15 or 30 degree angle bend out to the side instead of a 45. 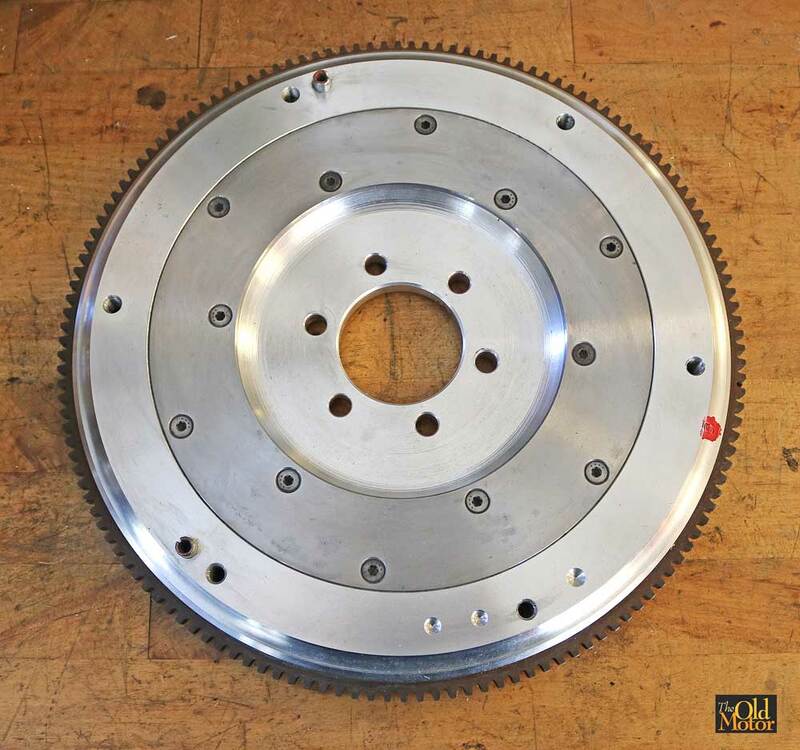 The original flywheel weighs 22 lbs and this is aluminum flywheel is only 8 lbs and will help in the accelerating when coming out of a turn.